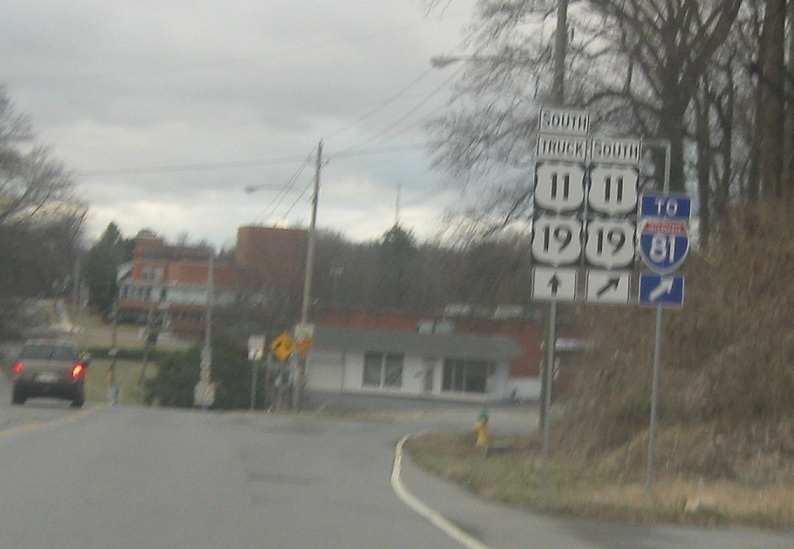 A few blocks after I-81, we’ll approach the 11/19 truck route. Stay straight for 11/19 Truck South. 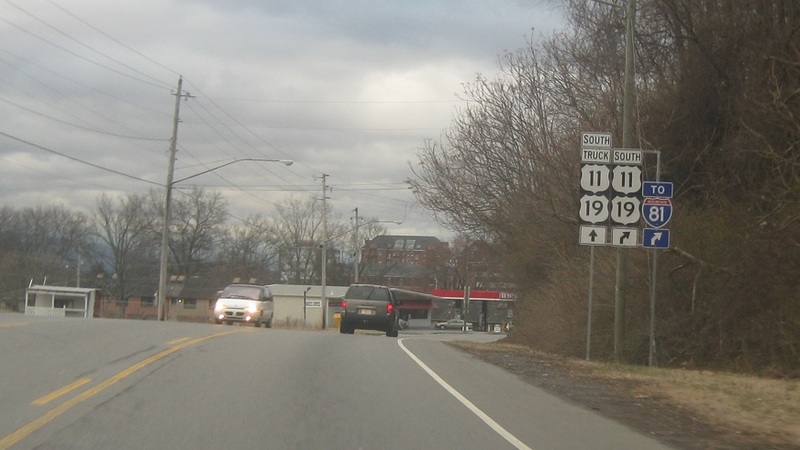 Keep right for 11/19 south to I-81. 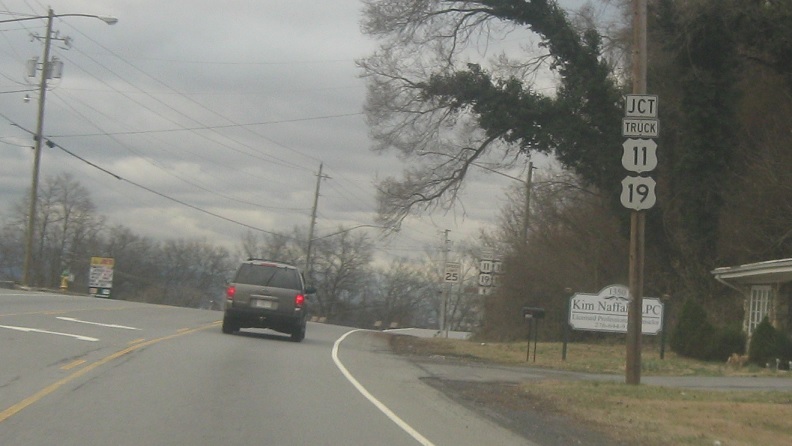 Virginia 113 also begins here, and runs concurrent with 11/19 truck.